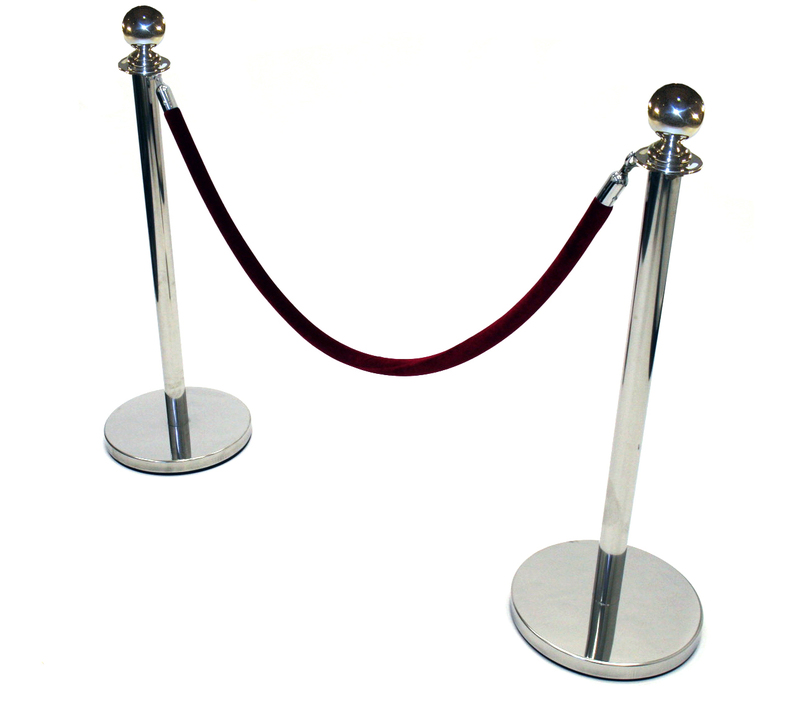 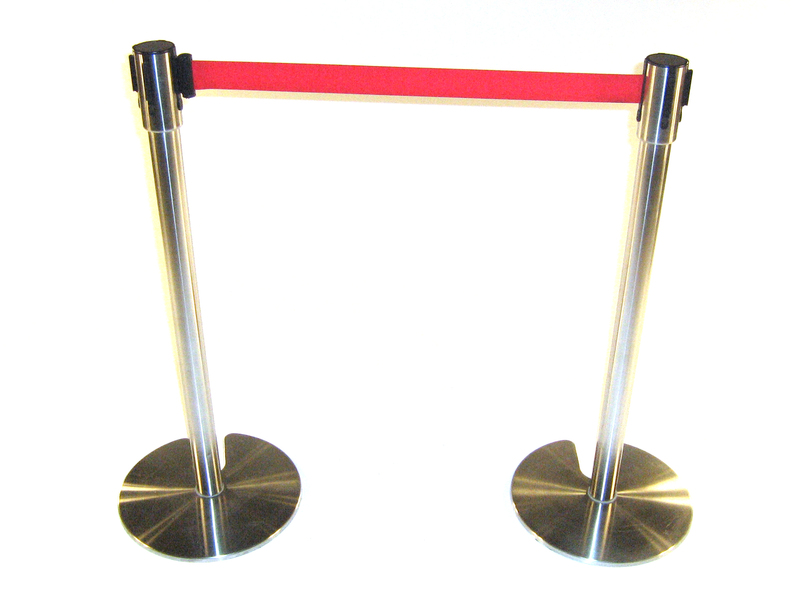 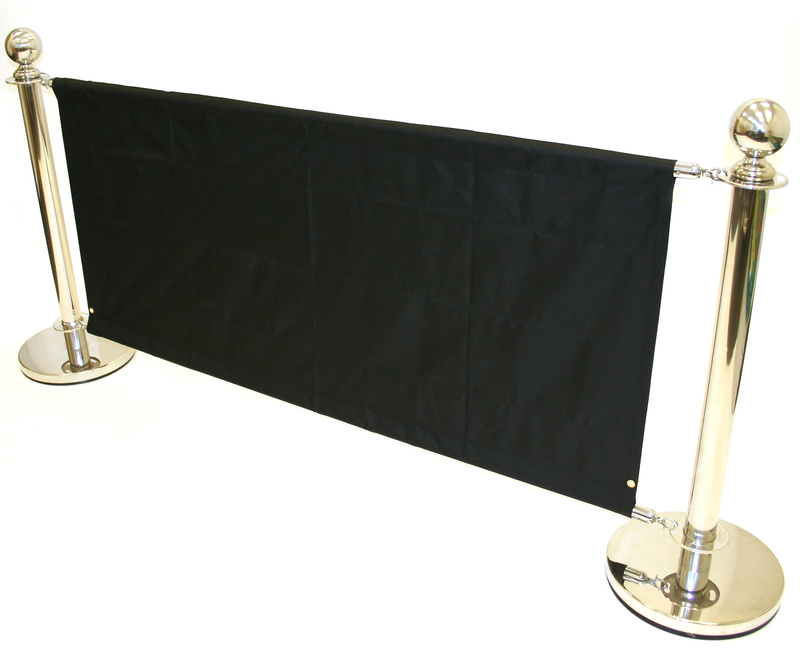 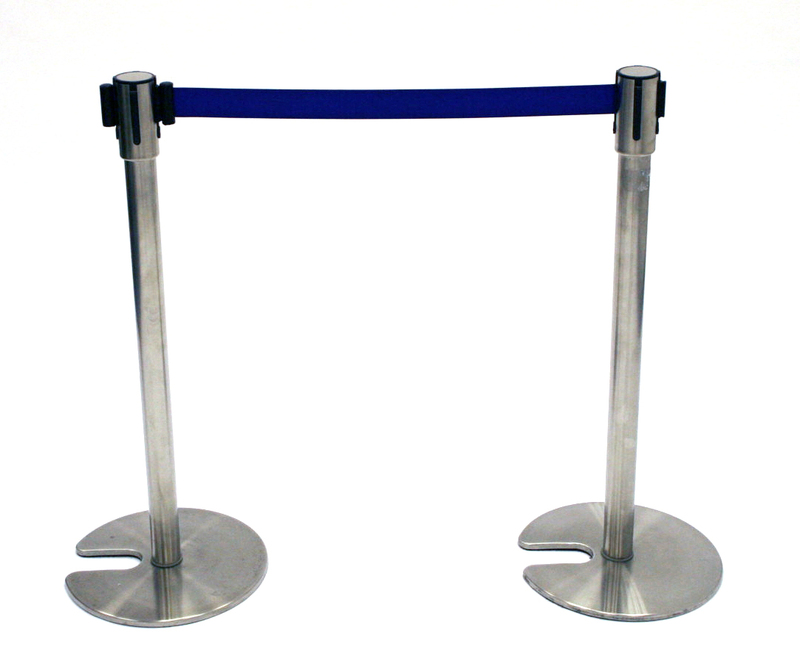 Stainless steel barrier posts and base cover with a heavy weight concrete base. 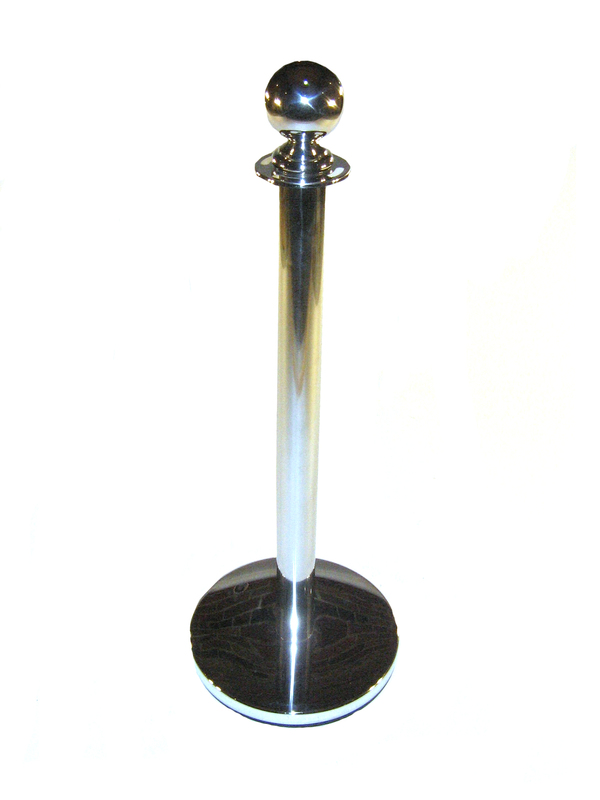 Each post has a mirrored silver finish, stands 980 mm high, has a pole diameter of 63 mm, a base diameter of 360 mm and top ball diameter of 100 mm. 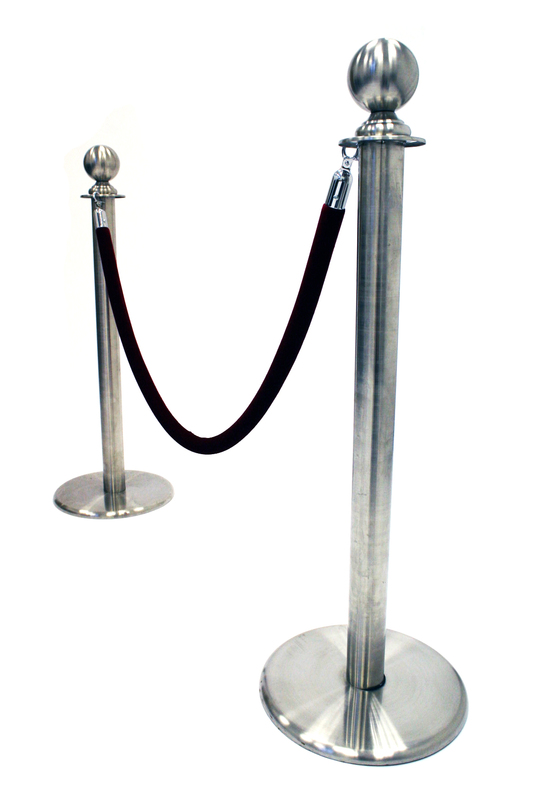 Each post is 8 KG and finished to a very high quality.